All About Wheat Germ Oil! Wheat germ oil is unrefined. It's extracted from the germ of the wheat kernel. The germ is a very small amount of the kernel, only about 2.5%, but it's packed with vitamins and minerals! It's the reproductive part of the wheat kernel that germinates and forms wheat grass. The oil varies in color from light yellow. to pale amber. to rich chestnut brown. Hearty winter wheat can produce an oil of darker color compared to lighter summer wheat. It has a thick consistency and strong scent. This oil can be ingested or used topically. CAUTION! Avoid this oil if you have allergies to wheat flour, since reactions may occur. Wheat germ is a nutritional powerhouse! It's rich in vitamins A, B, D and E! It's the most concentrated natural source of vitamin E, more than any other vegetable oil. It's rich in protein, lecithin and fiber. It has essential fatty acids Omega 3 and 6. It has more potassium and iron than any other food source! It has large quantities of riboflavin, calcium, zinc and magnesium. It's high in antioxidants! Wheat germ is higher in fat than some other grains. Therefore, it's best to limit intake of wheat germ oil from 1 tbsp. to 1/4 cup per day. The Mayo Clinic recommends getting approx. 25% of calories from fat, 20% from protein and 55% from carbs, close to what wheat germ provides. 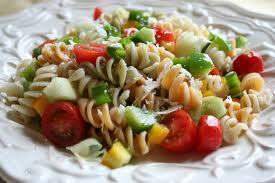 Overall, wheat germ offers a good balance between carbohydrates, protein and fat. It's 100% cholesterol free! Octacosanol, a chemical compound, is a significant ingredient in wheat germ oil. This waxy substance is naturally present in plant oils and sugar cane. It's chemically similar to vitamin E. Octacosanol helps improve strength, stamina and reaction time. Research suggest it improves the way the body uses oxygen. It's known to heal some skin infections and diseases. It inhibits production of LDL, (bad cholesterol), and can raise HDL, (good cholesterol). CULINARY USES: Use this oil on cold dishes or as a substitute for salad dressing. Add it to oatmeal, stir in smoothies, sprinkle on top of cakes. There are lots of culinary ways to use this oil! Wheat germ oil is very sensitive. It can degrade if not store properly. Its nutrients can be ruined with high temperatures, extreme temperature fluctuations, oxidization and light. It can degrade quickly, in these conditions, and turn rancid. Store in a cool, dark, dry location. Store in an air tight, opaque, container. When stored properly it can last six to eight months. Refrigeration or freezing is highly recommended. The high vitamin E content is a natural preservative helping to prevent rancidity and extend shelf life. Wheat germ oil can improve skin conditions. Blend it with essential oils of choice, if desired. The high vitamin E content helps repair damaged skin, fade stretch marks, scars and more. Vitamin E helps hydrate skin. Soothe cracked or dry flaky skin. The high amount of antioxidants combat free radicals that cause skin to looked aged. They stimulate new cell growth, reducing the appearance of fine lines and wrinkles. Skin appears more youthful. This oil contains squalane, a natural bactericide with healing properties. Squalane contributes to new cell growth. It's a refined version of squalene, a substance found in rice bran, olives, wheat germ and some vegetables oils. Wheat germ oil is found in soaps, lotions, creams, shampoos and other products for the skin or hair. Mix ingredients together. Place in air tight container. Set aside. Steam face to open pores. Gently apply small amount of mixture to face. Avoid eyes, ears, nose, mouth or any sensitive areas. Let stand for 15 minutes. Rinse face, thoroughly, with warm water. Gently pat dry. Follow with natural moisturizer. Apply mixture to face, periodically, throughout one week. Discard ingredients and do not use after 1 week. CAUTION! Discard all ingredients if rancidity or foul odor sets in. Do not use or store this homemade face mask recipe, longer than 1 week. Do not store in hot or warm environment. Store in cool, dark, dry location. Store in air tight container. Wheat germ oil produces a bar with stable, conditioning, lather. It can be expensive and it's easily perishable. It should not be heated too much. High heat destroys its natural nutrients. Store it properly to prevent rancidity and extend shelf life. -- Use it at a small percentage of base oils. -- Use it as a superfatting nutrient at trace. -- Since it can be expensive, use it sparingly. -- Use approx. 3% to 12% in your soap recipes. -- Add it to your soap recipes after the hard oils have melted. -- Use it to, partially, replace soap making oils, like olive or jojoba. NaOH: .135 oz. / KOH: .190 oz. Olive Oil .... 7 oz. Shea Butter .... 4 oz. Palm Kernel .... 5 oz. Wheat Germ Oil .... 4 oz. Palm Oil .... 10 oz. Coconut Oil .... 10 oz. Cocoa Butter ... 10 oz. Goat Milk ... 19 fluid oz. Lye .... 6.87 - 7.09 oz. OTHER SKIN CARE APPLICATIONS: Use in lotions, creams, balms, scrubs. Wheat germ oil is a little sticky and heavy for lotions, so use it in very small amounts. It's nice for heavier creams, balms or scrubs. Make various homemade recipes for healthier skin! Looking for the right specialty or soap making oil? Find it now!